With Defenders set to air in August 2017 (tomorrow, in fact! ), Marvel and Netflix had left themselves a rather small window post-Luke Cage to complete and release the final piece of the lead-up. Iron Fist promised to be at the vanguard of the more supernatural elements in the Marvel Cinematic Universe, and in the wake of the well-received Doctor Strange it was on track for a warm reception. 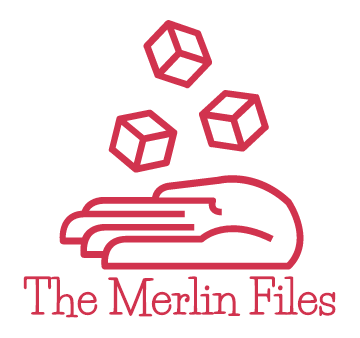 In point of fact, the founding of this blog was scheduled to coincide with the release of Iron Fist, the idea being that I would review each episode. Iron Fist, much like Luke Cage, is a lesser-known Marvel property originating in an age of schlock action movies. The character’s popularity waned with the films that inspired him, and he was partnered with Cage in a shared series in an attempt to sustain both properties. With Marvel and Netflix having successfully tapped into the genre elements of other superheroes, finding critical acclaim with Luke Cage and Jessica Jones, it seemed fairly plausible that Iron Fist would be a worthwhile lead-in to the big crossover event. Who is the Iron Fist? That would be Danny Rand, orphaned insta-billionaire heir to Rand Enterprises, who vanished after a doomed flight to Asia years ago and was presumed dead. Returning to New York City, he upsets the status quo at his father’s company, comes into incredible riches, and rededicates himself to continuing the sacred work of the Iron Fist in his new home. What might that be? Well, the Fist has to oppose the Hand (yes, fists are made from hands, but shh), a cabal of mystics and ninjas who have been doing shady things in New York City for some time now. Danny Rand’s life is complicated by the fact that he’s got no identification and that nobody has seen him since he was a child – his childhood friends, now the executives in charge of the company, oscillate between not believing him and not wanting to let him cash in on his rightful inheritance. A local martial arts instructor gets stalked into giving him a place to sleep and eventually helping him out with his mystic mission. Claire Temple returns as a student at the dojo, and gets caught up in the fight against the Hand, who she encountered in Hell’s Kitchen back in Daredevil’s second season. The Hand, however, has many faces and many agents, and it’s not long before Danny discovers that his father’s dead business partner is now his father’s undead business partner, sequestered in a penthouse and running Rand from behind the scenes at the behest of the Hand. Where Charlie Cox brought a driven intensity, Krysten Ritter a wounded strength, and Mike Colter a human warmth, Fin Jones brings to his leading role a kind of daft puppy dog quality. Incapable, it seems, not just of learning but of taking basic day-to-day actions like a rational human being, Danny Rand as played by Finn Jones is an out-of-touch idiot who ignores everyone except when they’re doing exactly what he wants. The show seems to want us to accept his fish-out-of-water stupidity on the grounds that he spent a decade in the care of secluded monks, but that still means he’s been among human beings – this isn’t “raised by wolves” we’re talking here. The supporting cast only serves to further undermine the lead. Jessica Henwick plays Colleen Wing, love interest and dojo master, and gives such a good performance that she raises the question of why they didn’t simply gender-swap Danny Rand and give her the part. Tom Pelphrey is given the irritating Ward Meachum, a character so all over the map that garnering any amount of audience interest (let alone sympathy) would be a Herculean task, and somehow manages to get there in the end regardless. Rosario Dawson comes back to her well-worn role as the thread that binds all the Defenders together, seeming a bit tired of it all in this outing but holding up her end regardless. Then, of course, there’s Wai Ching Ho – but we’ll come to her in a moment. As with Luke Cage, I had concerns that Iron Fist lacked the depth of rogues gallery to drive the action with a top-notch villain. Certainly he has a more distinctive rival, the Steel Serpent, but that character wasn’t brought in as the primary antagonist. Early previews, however, showed us the return of Wai Ching Ho as Madame Gao. Gao featured in Daredevil’s outstanding first season as the only pillar of Wilson Fisk’s empire not to crumble at the hands of the Devil of Hell’s Kitchen. Instead, she laid the superhero out flat with a single punch and then ominously withdrew to her homeland. The mystery of Madame Gao offered tantalizing possibilities for Iron Fist, facing off against a character still not formally linked to any figure from the comics but coming in with a strong cache of stockpiled goodwill. Gao does appear in the series, chiefly in the first half, but as an antagonist is woefully underused – Wai Ching Ho delivers a no-nonsense performance that suggests age, wisdom, menace, and constant quiet amusement with the petty efforts of children who don’t understand what they’re doing. Iron Fist, however, recontextualizes her as the leader of another branch of the Hand. That means two of Fisk’s four pillars were the “same” organization, though she claims that her branch is distinct from that of the ninja Nobu. The story seems incapable of putting her to proper use – in one episode, she quite literally flicks the Iron Fist across a room, while soon after she’s captured by him without any kind of fight. Instead of this excellent adversary ruling the roost, we’re treated to multiple flavors of poorly-developed villainy. The Hand’s expert enforcers appear in one memorable episode, facing off against Danny in a tournament whose stakes the plot forgets immediately afterwards. A guardian and drunken boxing master, Zhou Cheng, is played by martial artist Lewis Tan (the frontrunner for the leading role before Finn Jones was cast, a terribly wasted opportunity) and gives Danny a lot of trouble. Ward Meachum is unambiguously a corporate douchebag, though his escalating inability to keep on top of his own plot constantly undermines any relevance he might try to have. His sister Joy is arguably worse, occasionally showing glimmers of malefic competence but spending most of the series trying to figure out which of five or six different roles she actually occupies, none of which are remotely interesting. Yes, spoilers are forthcoming. No, you shouldn’t care. I’d be doing you a favor, frankly. The big bad of the season is Harold Meachum, undead ex-CEO of Rand Enterprises. Brought back to life by the Hand, he lets them use Rand for their operations and is desperately looking to sever his ties to them, an opportunity he finds incarnated in Danny Rand. With immortality comes instability, and Meachum demonstrates various occasions of bizarre behavior and murderous impulses that neither amuse nor horrify – they feel perfunctory, and the audience is never invited to be surprised by his behavior. At one point, he kills a man for preferring vanilla ice cream. For some unfathomable reason, Danny Rand inherently trusts this self-described Hand collaborator and undead murderer right up until a third of the way through the final episode, when Meachum has decided to betray Danny for fun and profit and brings a gun to a Fist fight. Spoiler alert: Guns win. Supplementing him, and all those others mentioned above, we have Bakuto, Colleen’s mentor, who invites Danny to his compound of healing and education. It shouldn’t surprise anyone to learn that he’s also part of the Hand, apparently the middle finger since that’s what he flips at the audience by pretending to be anything else for any length of time. Bakuto’s main power is the ability to keep playing Colleen like a fiddle – Gao’s branch is the wrong Hand, she asserts, but Bakuto is the… right Hand? Sure, why not. She even knows that she’s a training front for an organization that literally calls itself “the Hand” and that her new boyfriend hates “the Hand,” and for some reason thinks this situation will totally work itself out. In short, Bakuto’s presence takes one of the few competent characters on the show and makes her immeasurably dumber. Why? Well, as noted in each past installment, Marvel Netflix shows feel compelled to run for 13 episodes and can never actually cover their bets. Bakuto stretches things, the late-game introduction of Davos stretches things, the kidnapping of Gao in Obviously Low Budget China stretches things, throwing Danny in a psychiatric institution stretches things, the corporate plot stretches things… and then it all finishes off with Meachum shooting Meachum atop the roof of the Rand building. Why did we even bother with mystics and ninjas if the end was always planned to play out like a low-grade corporate thriller? Speaking of low-grade corporate thrillers, the most severe indictment of the series is found in its action. What should be the most tightly-choreographed and glorious martial arts action in the entire MCU to date is bland, noncommittal, and terribly rushed. It’s brutally obvious from very early in the series that Finn Jones is not a trained martial artist. The amount of editing required to make fights look like anything other than two people aggressively dancing near one another like two high school wallflowers who’ve just found the spiked punch… gone is the potent immediacy of Luke Cage’s battles, the tense and claustrophobic fights of Jessica Jones, and the efficient and polished brutality of Daredevil. What’s presented here isn’t even martial arts in most cases, but rather flurries, spins, swishes, and the occasional arm-grab or two to pretend that two people are actually connecting with “blows” that aren’t convincingly anything of the sort. 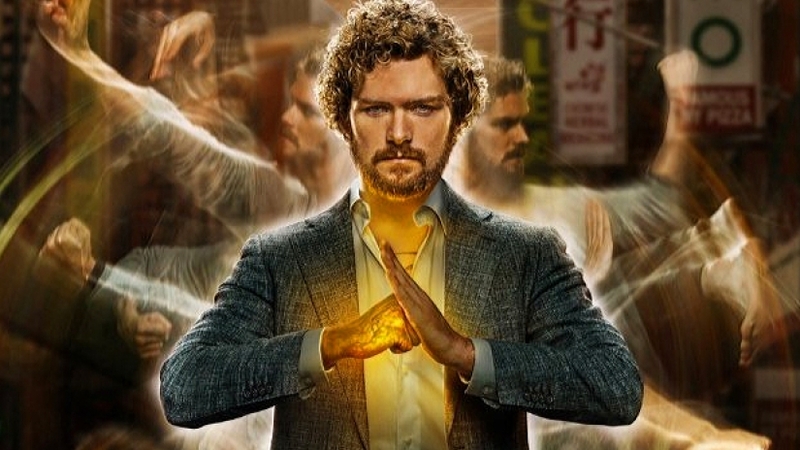 All this is to say that Iron Fist is quite easily the worst of the Marvel Netflix series, ruthlessly dedicated to earning that epithet with its earnest commitment to missing every possible opportunity to entertain and taking every possible opportunity to be the worst parts of every genre it thinks it should ape. Even the big mystic moments happen off-screen, and the number of times the Iron Fist is ignited is woefully low, unraveling Danny Rand’s claim to be not just a hero (he’s not) but also super. In its place, we get a protagonist so constantly demanding, irritating, short-sighted, childish, and irrepressibly stupid that people only follow him in the hope that they can prevent him from punching himself in the brain. Again, presumably. The vision for this series: Caucasian lead, done on the cheap, will lead into Defenders, will be done fast. I’m given to understand that Marvel had a difficult time finding a solid pitch for the series. Clearly they just gave up and tapped Scott Buck, notoriously incompetent showrunner, to get this one off the books and out of the way. Nothing else explains why this series seems so utterly dedicated to narrative inconsistency and a lack of entertaining qualities. It’s to the point where Iron Fist looks like the unfortunate slurry of five or six more internally consistent pitches that all got dropped into a blender and had their identifying idiosyncracies removed. Every so often, a glimmer of a better series rears its head, but at last count none of those glimmers showed the head of the same animal, so unless Iron Fist was always meant to be a chimera, something went off the rails hard. It’s obvious that nobody cared to right the ship. I’m now seriously concerned that Defenders follows this mold rather than channeling the spirit of any of Iron Fist’s betters; I can see few ways to integrate Danny Rand into the rest of the group in a way that doesn’t make the audience want to punch him in the face. Perhaps he’ll be the dumb one (well I mean he will be the dumb one, that’s inescapable, but maybe the show will recognize that) and the comic relief. He certainly hasn’t justified occupying any other role. Frankly, after this series, neither has Finn Jones.